Aliens exist, and they wish to conquer our world. Resist, and the last thing you see before they cause you to burst into a cloud of blood and dust is their dark, lumbering, porcupine-like figures. Such are the cause for the bleak and gray world of 2027 as presented in director Rupert Wyatt’s science fiction thriller Captive State, co-written with Erica Beeney and co-produced with David Crockett. Tone-wise, Captive State tries joining the company of serious alien sci-fi cinema from the past decade, including District 9, Edge of Tomorrow, and Arrival. Captive State’s ambition, however, can only amount to a disconnected and muddled fusion of sci-fi with crime thriller, filled with characters who fall short of earning the audience’s emotional investment. In the decade since first contact, governments around the world, seeking peace and to avoid global annihilation, have chosen to surrender to the aliens, now known as “Legislators”. The Legislators insert tracking bugs into each human being and force them to devote the earth’s natural resources into building suitable habitats for the Legislators underground, dubbed “safe zones”. Telecommunications are constantly monitored and any criminals caught get sent off into space towards some unseen off-planet labor camp. Anyone can spoil this likely temporary arrangement, so governments task law enforcement to wipe out any and all pockets of insurgency, pitting humans against their own. In Chicago, those determined to fight back have formed a secret group of freedom fighters called Phoenix. Gabriel Drummond (Ashton Sanders), the younger brother of missing Phoenix leader Rafael “Rafe” Drummond (Jonathan Majors, last seen in White Boy Rick), seems destined to join the battle against the Legislators. Gabriel survives through his modest job of uploading data from recovered mobile devices into a large server for Legislator analysis, hustling the streets with his friend Jurgis (Machine Gun Kelly, sadly underused), and protecting his live-in girlfriend Rula (Madeline Brewer, also underused). With Officer William Mulligan (a committed John Goodman) keeping a close eye on him, Gabriel must choose between his blood and the rest of humanity. Captive State’s best scene is in its opening minutes: A detective (Chiké Johnson), accompanied by his wife (Patrese McClane), trying to drive out of a barricaded Chicago at the start of the invasion is appropriately frantic. Spotting Legislators at the end of a tunnel, the wife’s horrifying delivery of “Turn. Around.”, an invisible entity stepping up to the front of the car with a boom, petrifying the couple for moment…before the couple explodes into a cloud of red dust, all mark this as a textbook shock opening. The reveal of their two young and now-orphaned sons Rafe (Collin Woldt) and Gabriel (Zach Thomas), covering their heads in the back seat, provides the initial touch of investment in the main characters. Lastly, the Legislator shedding its camouflage to reveal their tall and spiky shapes (similar to the Mimics of Edge of Tomorrow, yet less in light) before it screeches into the boys’ faces, into the camera, and abruptly pulling viewers out of the initial panic of invasion, reinforces how dangerous the new alien overlords are. Unfortunately, Captive State glosses over the more fascinating developments that follow, like how linguists scramble to understand the Legislators’ language (a la Arrival) or, perhaps more importantly, how the Legislators manage to negotiate strict yet decent surrender terms for all of mankind. Captive State teases its sci-fi tale of first contact with hostile extraterrestrials. Instead, it ambitiously presents the alien invasion as the backdrop for a more grounded crime thriller that finds disgruntled citizens organizing against a law enforcement institution that now prioritizes placating the Legislators over the safety of their own human brethren. One certainly perceives a theoretical link here with real-life police and government corruption. However, by having the Legislators outright subdue the Earth’s leaders to an understanding that assured global destruction will follow any credible human insurgence, Captive State exaggerates this connection to baffling levels. Thus, one wants to root for John Goodman, yet one also distrusts him for aiding the Legislators rather than his own species. One wishes to root for Ashton Sanders, yet one also wonders if Phoenix will end up causing more harm than good when igniting the ultimate war with the Legislators. When the story focuses on Phoenix’s big operation, it awkwardly sidelines Ashton Sanders in a way that makes viewers nearly forget his character. The move also forces viewers to support minor characters they barely get to know, on top of others they barely get to know like Vera Farmiga as a mysterious prostitute with a secret and Alan Ruck as a Phoenix member and journalist sending messages via the classifieds. Phoenix members exercising intra-group discretion to increase their chances of success should not apply to audiences too. 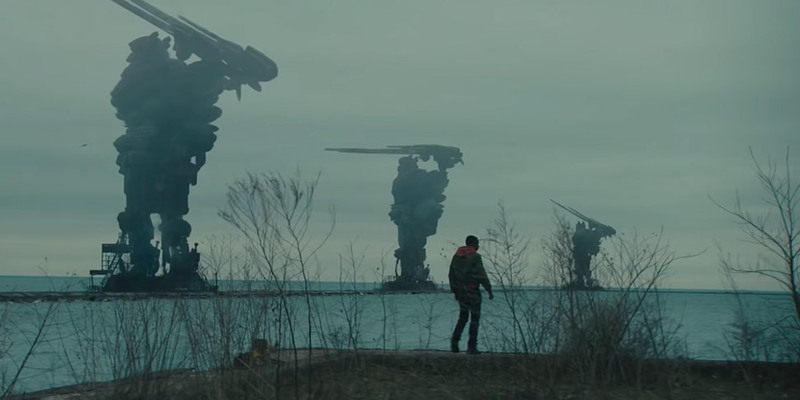 Captive State could have been great. The various performances across the cast, including even KiKi Layne of If Beale Street Could Talk in her early and brief scene-and-a-half, show a surprising amount of commitment. Ultimately, the science fiction thriller just does not cohere in full, nor is its offering of aliens unique and enticing enough to draw more ardent fans of sci-fi. Rupert Wyatt had already stumbled with the low commercial and mixed critical success of his previous film The Gambler (remake of the 1974 film) and sacrificed a few previous years developing and almost directing the X-Men spinoff movie Gambit (still on hold, especially now that Disney officially owns 20th Century Fox). With this latest disappointment of a sci-fi thriller, who knows if Rupert Wyatt will have the chance to either match or rise past the success of 2011’s Rise of the Planet of the Apes ever again.